PLUS a bonus motivator in furry form to get kids thinking healthy just before lunch time. 1) GRADES K – 2 – PLAY WAKE UP LITTLE COW! Playing Wake Up Little Cow is a School Day Starter that is (to use an old English expression) as easy as pie! 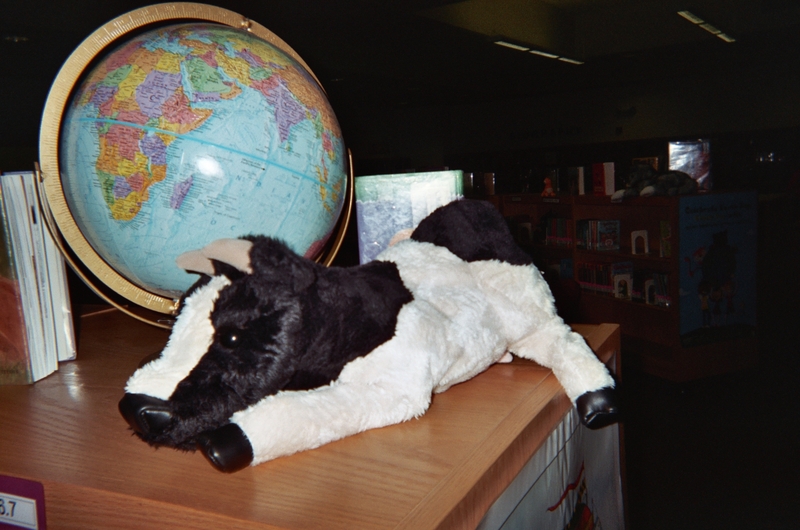 Introduce Little Cow at the beginning of the school year by pointing out where Little Cow “lives” in your classroom. NOTE: Any cuddly stuffed animal will work for this strategy; just change the activity name to suit your selection. Take this School Day Starter a step further by telling the class that you’ll be needing their help keeping Little Cow alert to your lessons. Use Little Cow to promote good behavior, good spelling, good…whatever you choose her function to be. Assign a different child each day or week to wake up Little Cow at the start of each school day. Encourage children to show interest in learning about different countries and cultures by placing Little Cow next to a globe in your room. Your creative uses of Little Cow will “bring her to life” as a super school day starter! When you have time to schedule another activity with the Students’ Pledge, use it to play Help Me Rock! This game is a kind of round-robin in class to encourage their full participation in learning. 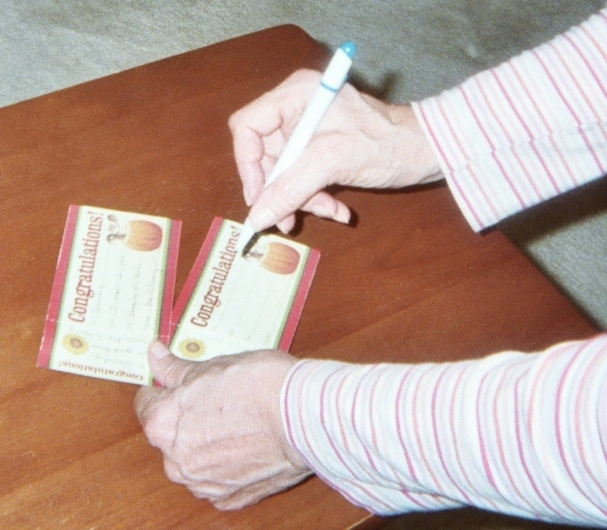 1) Write (or ask students to write) each Help Me sentence in the Students’ Pledge onto strips of paper (one sentence per strip) or on congratulation cards. 3) Make a Help Me! sign to put on top of the box. 4) At the start of a school day, call on a few students to pull out and read aloud one Help Me! reminder from the box. 5) Invite the kids to “rap” rather than say the pledge sentence; that’s the Help Me! Rock. 6) Choose kids from around the classroom to keep everyone’s attention. Older elementary school kids enjoy this. The music and movement help wake them up at the start of a school day. USING the Students’ Pledge, RATHER THAN JUST POSTING it, helps students not just learn the words, but also take them to heart. “Harry Ape” holds a sign to remind kids to eat a healthy lunch. children to eat healthy at lunch time. 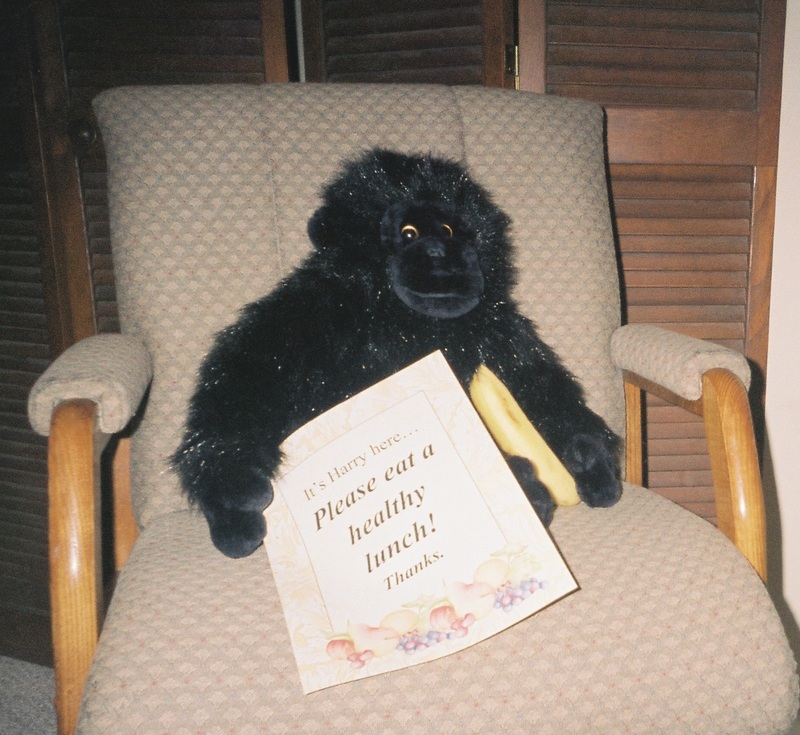 When a fun, funny “critter” offers an important message, like Please Eat a Healthy Lunch!, some students that haven’t yet paid attention to the importance of making good lunch choices may catch and keep the tip. A furry message-sender is clearly suitable for children in grades K – 2. There’s some debate about how appropriate it is for teachers to use puppets and stuffed animals in the upper elementary grades. My experience tells me that the effectiveness of teaching tools, including stuffed toys, depends on HOW teachers use them. It’s the strategy and the delivery that count. It’s asking two key questions: What is the intent with this tool? How can I use it in an appropriate way for my students? That’s my experience, but Mid-Week Focus is moving into a research mode. We want to know what works for YOU! Please subscribe to attentionology.com and PLEASE send comments to share your ideas about tools and tricks that catch and keep K – 5 students’ attention. Look for Attentionology for K – 5 Teachers on Monday. ‹ There’s a New AP for that – A-TTENTION P-LEASE! 1 Pings/Trackbacks for "A Pair of Attention-Getting School Day Starters"